Archbishop Bergan Catholic School is planning enrollment days for the Kindergarten, Pre-Kindergarten and Preschool programs. Each session will highlight what a day is like for a student and cover important information for parents sending their children to Bergan. Students may enter Kindergarten at Bergan if they turn five on or before July 31, 2019. Kindergarten Enrollment Day on Friday, January 25th will feature two convenient sessions for parents to choose from and they are highly encouraged to bring their student to the enrollment day with them. The sessions are scheduled for 9 – 10 a.m. and 1 – 2 p.m. While parents experience sessions presented by Administration, Advancement, Early Childhood Education Center and the Finance department, students will experience classroom life, as well as participate in activities in the library/media center, PE and Music. Pre-Kindergarten at Archbishop Bergan Catholic School is a five-half day per week program for children who are four years old on or before July 31, 2019. Parents have the opportunity to choose a morning program or afternoon program for their child. The enrollment day on Wednesday, February 6th at 9 a.m. will feature time for students to tour the elementary building with their parents and then explore the classroom while parents hear from Administration, Advancement, Early Childhood Education Center and the Finance Department. 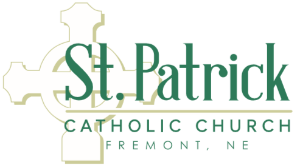 Voted Best of Fremont in 2018 and tied for Best of Fremont in 2017, Bergan’s preschool program, Little Knights Preschool will hold their enrollment day on Friday, February 15th at 9 a.m. Little Knights Preschool is for children who turn three years old on or before July 31, 2019. Parents have a choice to enroll their child into a two-day per week program (Tuesday/Thursday) or a three-day per week program (Monday, Wednesday, Friday). 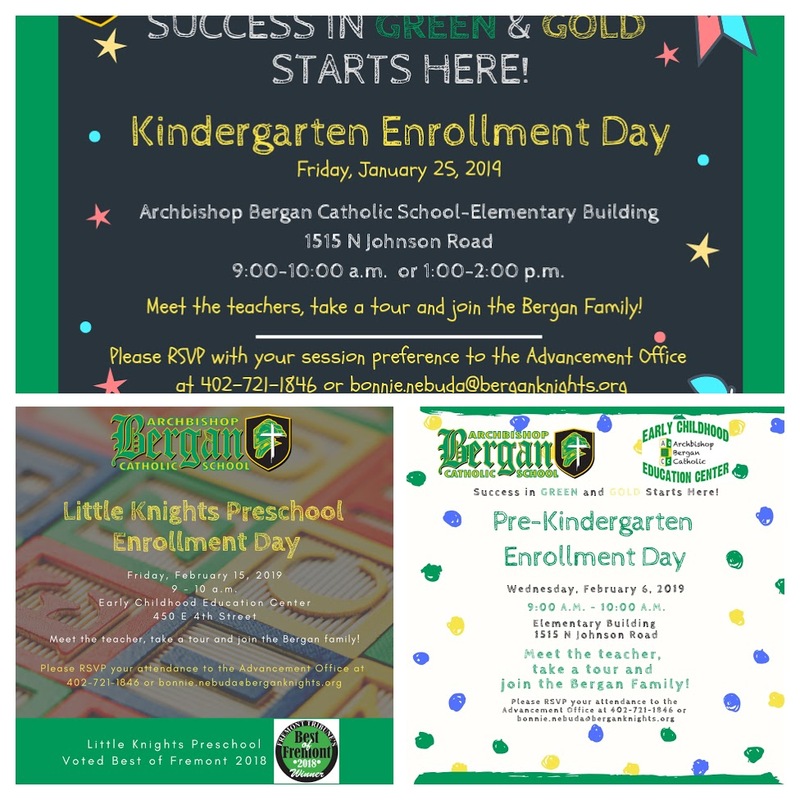 During the enrollment day, Mrs. Meghan Smith, Preschool teacher will hold special activities for students visiting the classroom and parents learn the details of enrolling their student at Bergan. “We are teaching the whole child when we are teaching your kids; mind, body and soul. Students are receiving a quality Catholic Education because they are being loved and taken care of in our extended family,” says Principal, Dan Koenig. 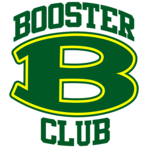 Parents who wish to attend any of the enrollment days should RSVP their attendance to the Bergan Advancement Office at 402-721-1846 or bonnie.nebuda@bergankghts.org. If you would like more information on this topic or to schedule an interview with Mr. Dan Koenig, please call 402-721-9683 or email him dan.koenig@berganknights.org.